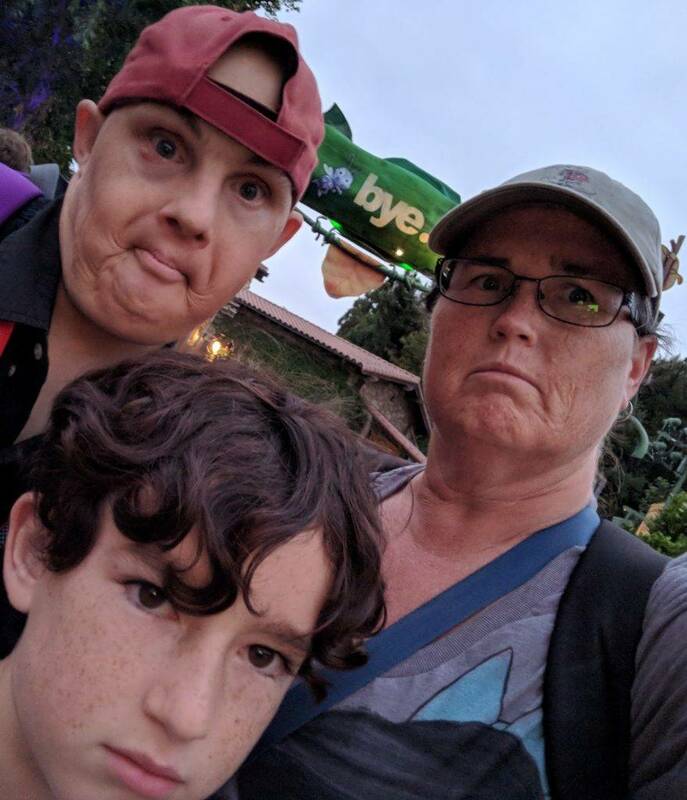 Yesterday, I laid out all of the nitty gritty of our trip to Disneyland over Labor Day weekend this year, including buying tickets, how we got there, our hotel and how we paid for it, meals, souvenirs, and using Disney gift cards. You can find that post here. Now comes the fun part: what we did each day! We got up early to catch Rope Drop (the park’s opening ceremony) for Magic Morning. This is a special hour for guests with three day or longer tickets to enter the parks before it opens to the public. Since we’ve had annual passes (and we don’t usually stay at the official Disney hotels for Extra Magic Hours), we haven’t done the early hour in awhile. Our tickets for this trip were four day park hoppers with MaxPass. With our annual passes, we got used to going to the parks on both our travel days, plus three full days in between. We also became accustomed to hopping between the parks, especially with the advent of MaxPass, since we could schedule a FASTPASS for the other park and easily hop over. We crossed the street and arrived at the security tables at 7:30am to no lines for bag check and very short lines to get into the park. We lined up on Main Street to wait the few minutes until they dropped the rope for official opening. We walked onto Star Tours, Space Mountain, and Finding Nemo Submarine Voyage during our Magic Morning hour. Only attractions in Tomorrowland and Fantasyland are open during this time. By official park opening, we were ready to head to the other side of the park to ride Pirates of the Caribbean, Indiana Jones, and Big Thunder Mountain Railroad. On the way, I grabbed our FASTPASSES for Fantasmic! since those are not included in the MaxPass system. Our next stop was the first showing of Beauty and the Beast at the Royal Theatre. Michael loves Belle, and watches scenes from this show on his iPad. Hopefully the people around us didn’t mind too much that he knew ALL of the words to the show, and recited them along quite loudly at times! After that, we battled some aliens on Buzz Lightyear Astro Blasters, the kids played Star Wars Lego games at the Launch Bay, we took the plunge on Splash Mountain, and visited Tarzan in his Treehouse. We had a 5:30 dinner reservation at Carnation Cafe, so we decided to take a midday break back at the hotel at this point. Once we were back in the park, we checked in for our reservation a few minutes early, requesting an outside table. When they texted me, we were pleasantly surprised to find our table was right next to the sidewalk since the reason I had booked for that time was to catch the Pixar Play Parade during our meal. It worked out perfectly! After a yummy dinner, we hopped over to California Adventure to hit Toy Story Midway Mania and Radiator Springs Racers before returning to Disneyland for our 9:00 Fantasmic! showing. Unfortunately, we spent too much time waiting in the FASTPASS line for Radiator Springs and had missed our great rail spot for Fantasmic!. We ended up having to stand the entire wait time, plus the show, and the kids let me know they weren’t too happy about it. I made it up to them by scheduling a FASTPASS for Big Thunder right during the fireworks! We timed it just right to catch the finale as we were whipping around on our runaway train car. Our final stop of the evening was to try our aim at the Frontierland Shootin’ Gallery. The kids are always surprised when I spring for things like this, but I only gave each of them a dollar! Today, it didn’t work as well arriving only 30 minutes before opening. The security lines at 8:30 were very long, and by the time we arrived at the turnstiles for California Adventure, the lines were much shorter since it was well after 9:00. We structured our day around the 12:00 showing of Frozen, but I think everyone was ready for the show as soon as we arrived, because they were dragging their feet. We managed to squeeze in Monsters, Inc., Luigi’s Rollicking Roadsters, the Guardians of the Galaxy Awesome Dance Off (while Joe and I caught a ride on Heimlich), and GotG: Mission Breakout before we got in line for Frozen at around 11:30. We opted for the Orchestra seating to avoid the long climb up the stairs and asked if my mom could wait on a bench until they opened the doors. They gave us a Bench Pass for her which allowed us to wait on a bench inside the ropes and snag front row seats for the show! Maggie and I went around to the various carts to get snacks for everyone to eat during the show. 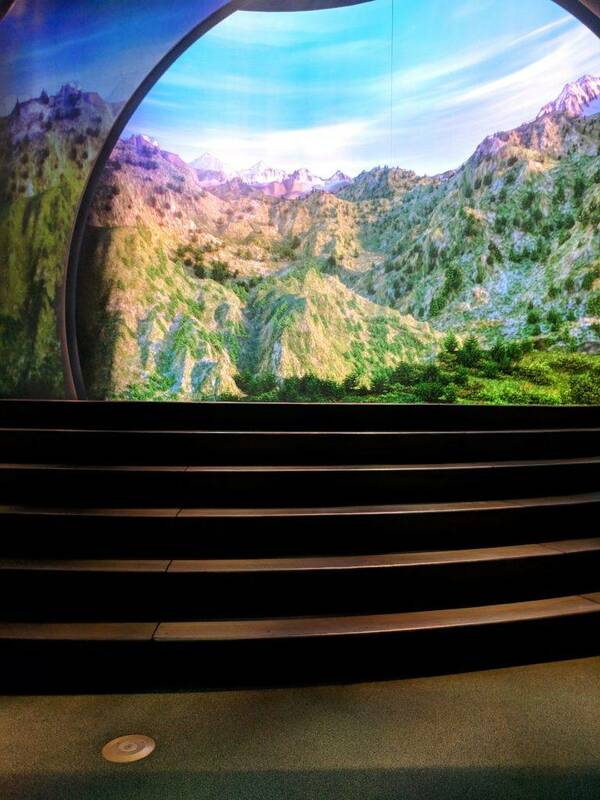 It was amazing to watch the show from the front row! We usually like to sit in the Mezzanine about halfway up, which provides a great overview of the theater and the projections on the curtains. This time, the actors were right in front of us, and there were several points where they came out into the audience to perform in the aisles all around. The only problem with these seats are that the amazing ice staircase goes over your head during the “Let It Go” sequence. We decided that lunch was next on the agenda, so we headed over to Cocina Cucamonga on Pacific Wharf. Unfortunately, they’ve changed the menu too much, and all of our old favorites are gone. After much debate and difficulty, we finally chose to go to the Taqueria at Tortilla Joe’s in Downtown Disney as an alternative. Maggie and Gramma went back to the room with the promise that we’d bring food to them later. The Taqueria reminds me of a Chipotle, so we were able to customize our order and everyone was happy, even Maggie with her take-out back at the room an hour later. As we were walking back to the hotel, I noticed that the lines for the parks were practically meeting in the middle at 4:30 in the afternoon. Crazy! We returned around 7:15 to much more manageable lines, and decided we would just relax on Main Street and wait for the fireworks. I realize this was a long time to wait, but this day seemed to be a wash as far as attractions go, so I decided to let everyone chill since that seemed to be what they needed. The crowds built slowly until we were asked to stand for the last 45 minutes or so, and by the time the show was to start, Main Street was completely filled with people standing shoulder to shoulder, back to front, all the way from the castle to the train station! The crowd collectively gasped at this point. We had been waiting for this for over two hours! And a collective sigh of relief. I have no idea what he said after that point—I was hoping it was just delayed, and they weren’t trying to soften the blow. Luckily, the show started only a few minutes later, and we were all able to enjoy it at last! 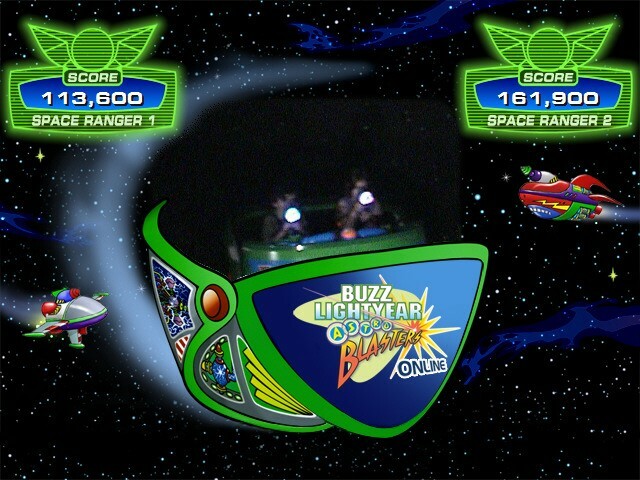 We took one last ride on Buzz Lightyear and called it a night. Monday’s opening was an early 8am, I assume because it was Labor Day. However, the crowds were refreshingly light. We concentrated on Fantasyland first thing, hitting the Teacups, Storybook Land Canal Boats, Mr Toad’s Wild Ride, and Pinocchio. 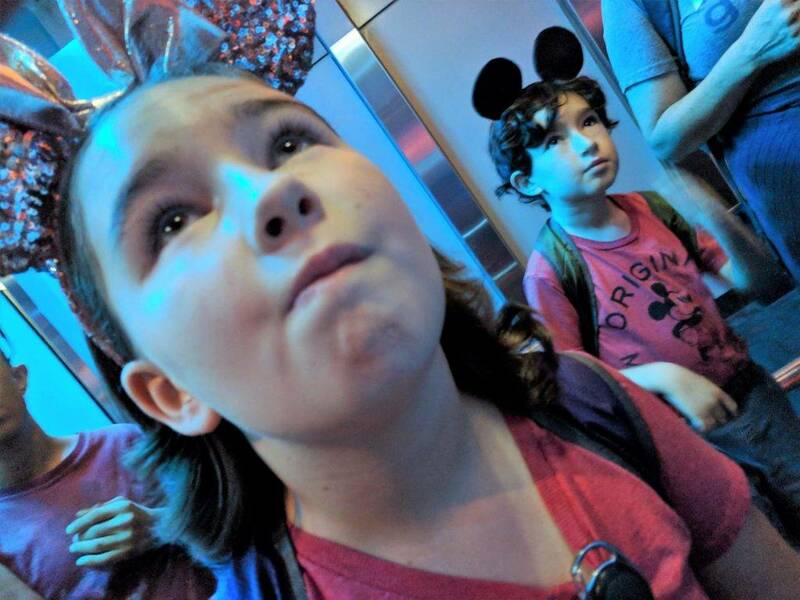 We detoured to Star Tours before Michael and Gramma went to watch Belle at the Royal Theatre again, and the rest of us got wet on Splash Mountain. 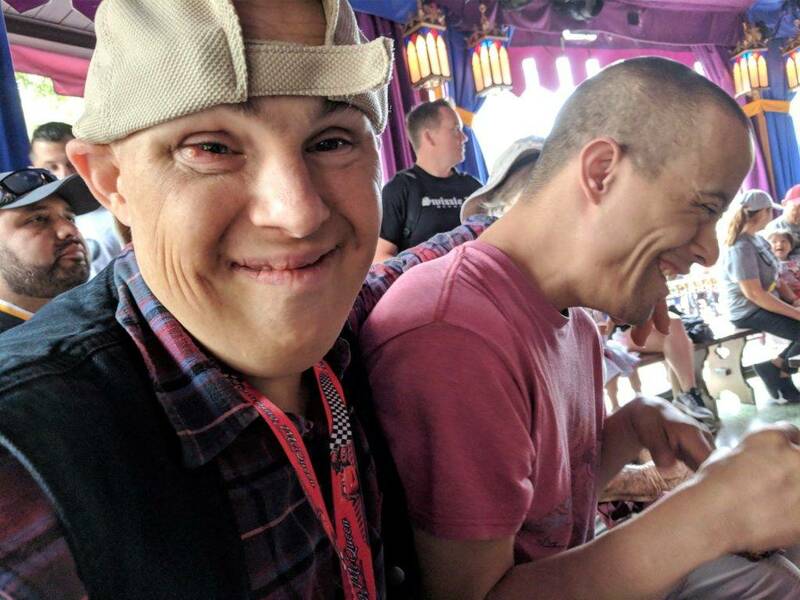 We split off for Joe and I to enjoy a canoe trip around the Rivers of America while the rest of the group got seats at the Golden Horseshoe for the first show. If you ever plan to eat while you watch the show there, go around to the outside and order your food at the Stage Door Cafe. The lines aren’t as long as inside, but the menu is the same. We went to see Mickey and the Magical Map before riding the Disneyland Railroad back to the front of the park to head to our mid afternoon reservation at Lamplight Lounge. We requested a table downstairs in order to have access to the full menu, and waited for a text telling us our table was ready. We couldn’t believe our luck when the hostess showed us to our table. We were at the themed booth right on the other side of the wall of Pixar globes! The table had characters from the Cars movie on display under the glass, mock-ups for different toys based on Pixar characters, and lots of Pixar knick knacks on the shelves above us. We had died and gone to Pixar heaven! After our tasty linner at Lamplight Lounge, we stopped by Soarin’ to use a FASTPASS on our way back over to Disneyland, where we caught the last Tangled show at the Royal Theatre and found a spot for the Pixar Play Parade near “it’s a small world”. Everyone enjoyed seeing the parade up close this time, even if we did get a little wet! We didn’t stay very long at Disneyland, choosing to continue the parade theme by catching Paint the Night as well. We stopped by the Sunset Showcase Theater to watch the Pixar Shorts since they would be closing after tonight. We used a FASTPASS for Goofy’s Sky School, but quickly realized we didn’t really need one since the lines were so short. The guys and I held our spot for the parade nearby while the kids rode Goofy’s Sky School over and over. The parade was fun to see since we hadn’t watched it since 2015. After the parade, we continued around Pixar Pier, hitting Golden Zephyr and Silly Symphony Swings (three times in a row), and ending with Toy Story Midway Mania. We closed out the night by hopping once more back over to Disneyland to watch the Pixar Shorts in the Tomorrowland Theater before they closed for the night. Unfortunately, they were having technical difficulties, but we stuck it out knowing that they would be closed the next day. They finally let us into the theater right at park closing, and we got to see the last show. Lucky for us, tomorrow was going to be a late-start day! 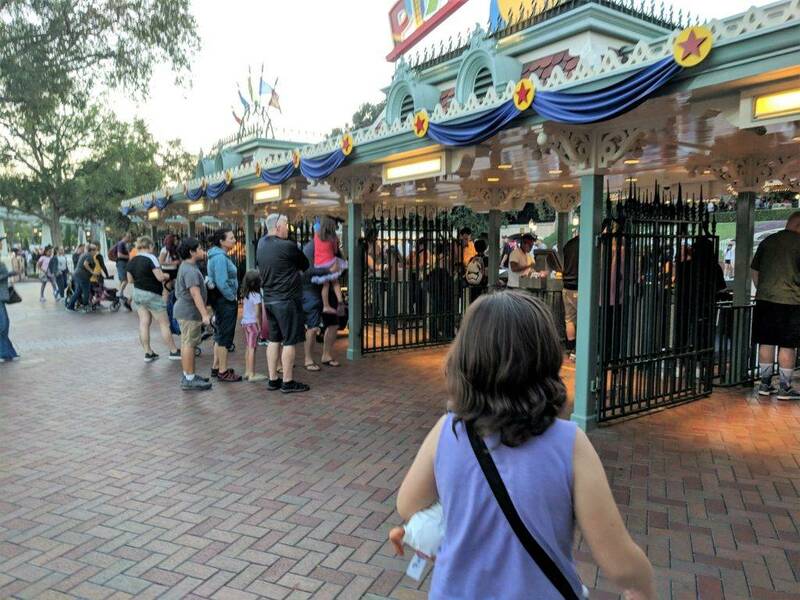 Unfortunately, late start days can be more crowded at opening, since people are more likely to be on time. We didn’t get out of our room very early given our late hour the night before, and we were met with long lines at security and the turnstiles. We started our day on the Jungle Cruise, rode the Disneyland Railroad over to “it’s a small world,” and caught one last performance of Beauty and the Beast and the Disneyland band before heading over to DCA for a FASTPASS on Grizzly River Run. The kids wanted to spend some time at Redwood Creek Challenge Trail, so we did that while we waited for our FASTPASS on the Incredicoaster. This ride had been down for most of our trip, so this was our last chance to try out the newly reimagined experience. Luckily, it was working, and we were able to finally try it out for ourselves. It was fun as California Screamin’, but the addition of the Parr family took it up several notches. We hit Guardians once more, along with Goofy’s Sky School, the swings, and Pixar Pal-Around before taking a break to eat at Boardwalk Pizza and Pasta. We’ve never eaten there before, and it was really good. Maggie and Gramma headed back to the hotel for a break while the rest of us powered on to Toy Story Midway Mania and Mater’s Junkyard Jamboree. We decided to end the evening in Bugsland since tomorrow it would be closed forever to make room for a Super Hero Land. We sadly rode Tuck ‘n’ Roll’s Drive ’em Buggies, Francis’ Ladybug Boogie, and Flik’s Flyers one last time before saying, “Good-bye,” to Bugsland. 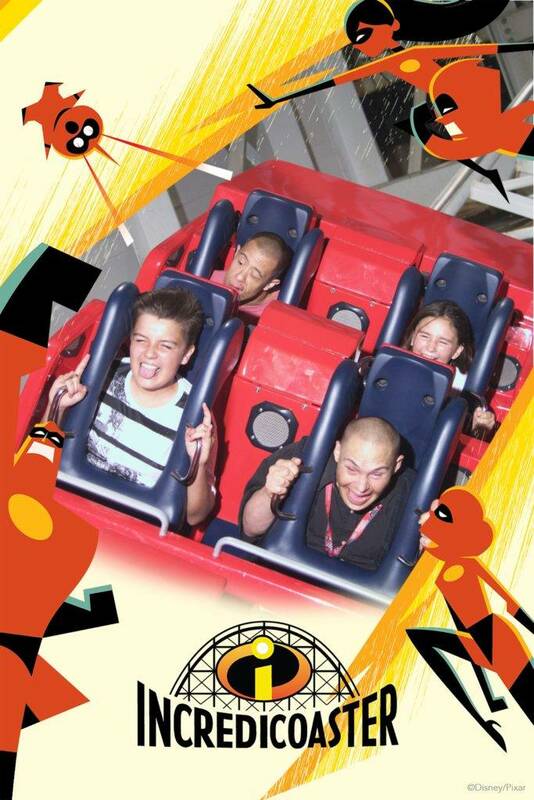 In the meantime, I had gotten a FASTPASS for the Incredicoaster, and since everyone raved about riding it at night, we had to try it for ourselves. This time, I swear I smelled cookies in the tunnel with Mr. Incredible and Jack-Jack! Carter was ready to call it a night, but Disneyland was open for another hour. We hustled back to the hotel and swapped kids. 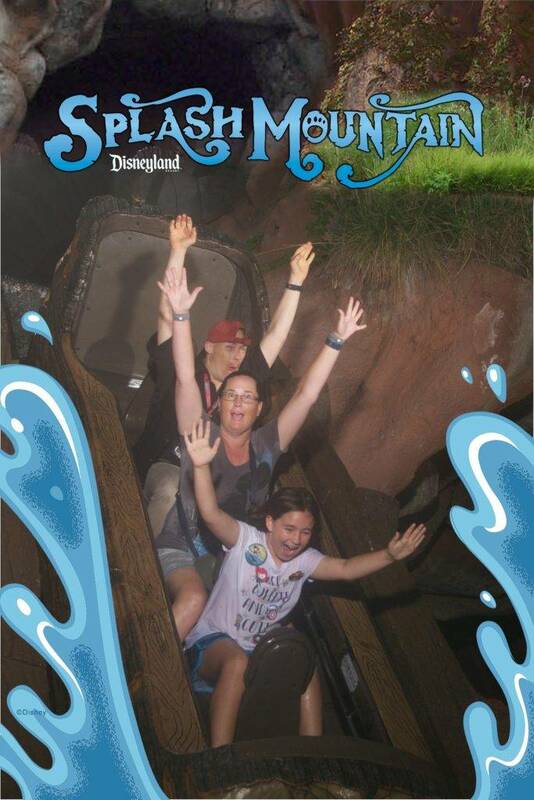 Maggie, Joe, and I finished off our trip by riding Splash Mountain twice in a row and getting thoroughly soaked! In the morning, I was able to secure a late checkout so that we didn’t have to pack the van before our 9:30 breakfast reservation at Storyteller’s Cafe in the Grand Californian Hotel. This is the one character meal we’ve never tried, and it’s recently been rethemed to include Mickey as the headliner. The breakfast buffet was good, but we were seated in a rounded booth, so it was difficult for everyone to get in and out and greet the characters. Usually I’m happy with a booth, but for character meals, tables are definitely more convenient. After breakfast, we headed back to the hotel, packed up and hit the road. See ya real soon, Disneyland!